Whether you want to cure UV adhesives, do florescence studies with UV light, or simply have the brightest, whitest source of cold light available... CON-TROL-CURE® can provide a Liquid core Lightguide to do the job. The new CON-TROL-CURE® LIQUID LIGHT GUIDES transmit UV light down to a wavelength of 250nm, and with short guide lengths even down to 220nm. As a result, applications requiring UVC now also benefit from the advantages of Liquid Lightguides. Important applications are wafer manufacturing, analytical measurements, fluorescence, epoxy curing where UVC eliminates the surface smear film, and photo therapy. Additionally, critical applications with high power UV lasers (i.e. 308nm excimer laser) are now possible with excellent transmission stability. The theoretical maximum angle of aperture 2a is 72 and only 29 for quartz/quartz fiber bundles. Thus CON-TROL-CURE TM Liquid Lightguides can transmit more power from conventional, non coherent UV sources. The costs for CON-TROL-CURE® LIQUID LIGHT GUIDES are only a fraction of those for quartz fiber bundles. 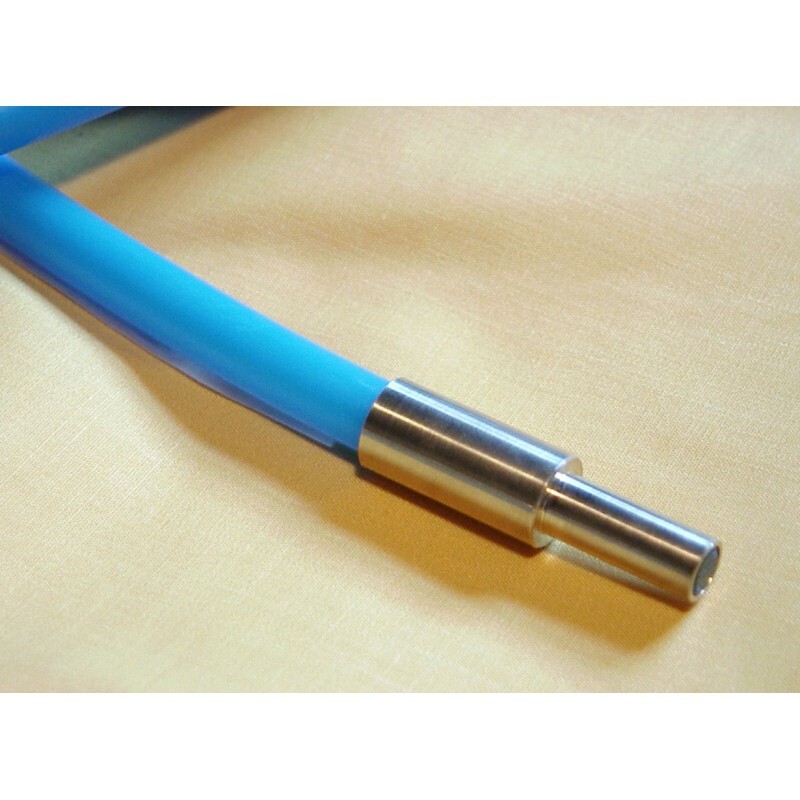 The long term operational temperature range of CON-TROL-CURE® LIQUID LIGHT GUIDES is -10C to +40C. When adapted to a light source, the light entrance sleeve of the light guide should not reach a temperature above 50C. CON-TROL-CURE® LIQUID LIGHT GUIDES are available in a variety of end fittings and in lengths of up to 5m. Special fittings can be made to customer specifications. • Liquid light core eliminates packing losses and provides totally uniform transmission with high Numerical Aperture (NA).